Click the thumbnails graphics to see the full-sized images. 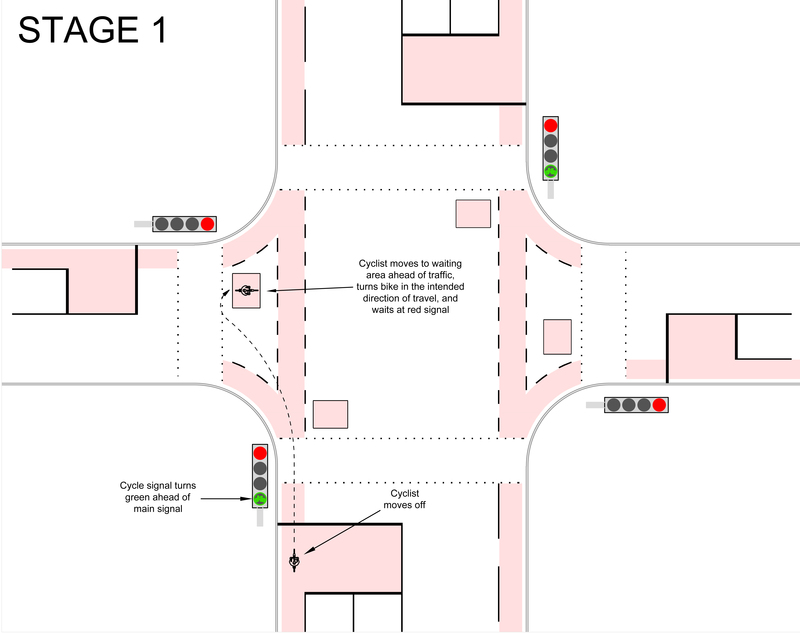 Stage ‘0’: Cyclist arrives and waits at red sign Stage 1: Cycle signal turns green ahead of main signal, cyclist moves off. 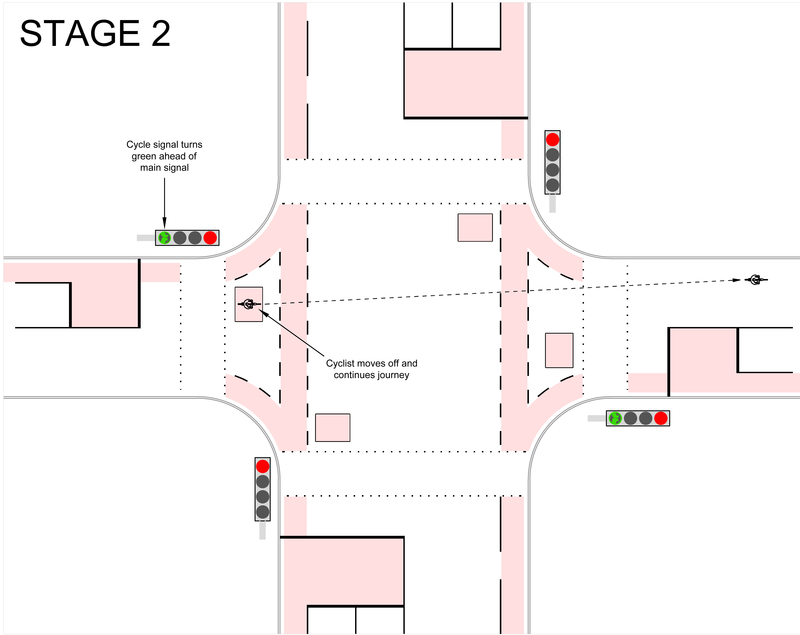 Cyclist moves to waiting area ahead of traffic, turns bike in the intended direction of travel, and waits at red signal. 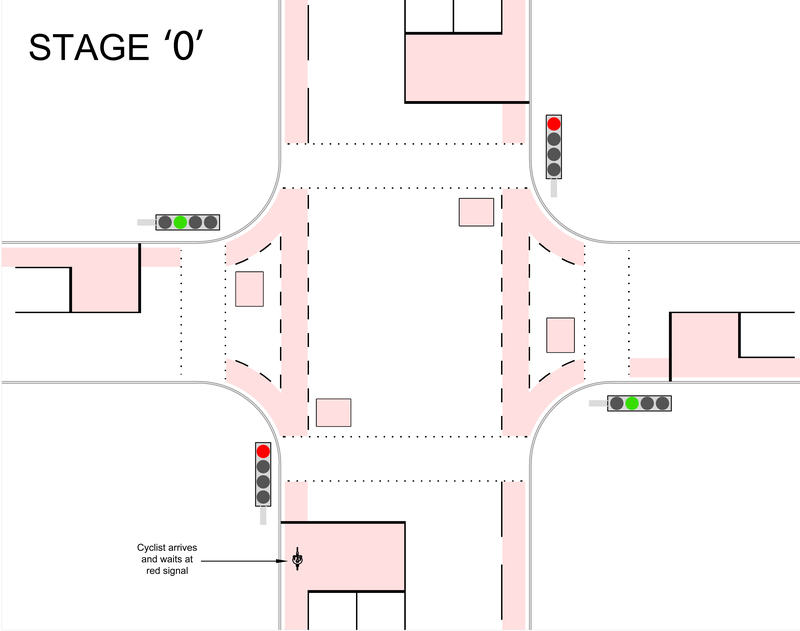 This entry was posted in News and Events and tagged 2-stage turns for cyclists, cyclists, Leith Walk. Bookmark the permalink.